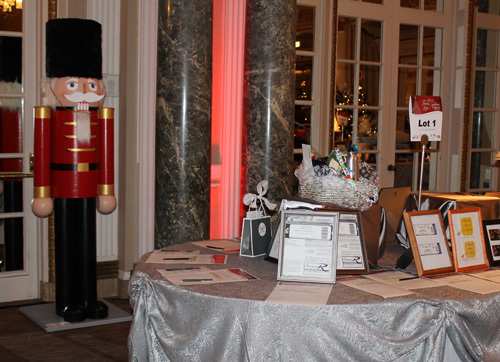 Each year, the Fairmont Château Laurier Hotel in Ottawa (Canada) organizes a Christmas tree decorating contest as a benefit for CHEO (the Children’s Hospital of Eastern Ontario). This event takes place on an evening towards the end of November and always attracts many visitors. In addition to the prizes awarded by the official jury, members of the public can also vote for their favourite among the 30 decorated Christmas trees. The Hotel is situated close to the Parliament of Canada and always treats the decorating teams as well as the visitors with generous hospitality. I had already participated twice in this friendly competition. As you can surely guess, I had decorated a tree with Animaplates ornaments, first in 2006 and more recently in 2010. I even won prizes (see my article). This year, I decided to help in a different way. 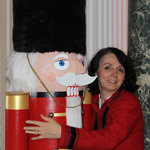 I built two giant nutcrackers and donated them to be sold in the silent auction that takes place on the night of the competition. I am going to publish videos where I explain how I built these nutcrackers. This project is an excellent team building exercise for a group of colleagues or a class of students. And the result is a truly impressive decoration that is hard to miss! Is there a way to modify the size to about 9 feet tall. 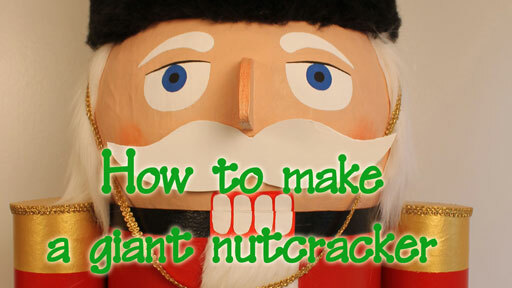 You can adapt the length of the tubes to make a taller nutcracker.